I just returned from Apollycon – a big author signing held in Orlando, Florida. I was lucky to not only meet many author friends I never get to see, but also beloved readers who remind me of why it’s so damn cool to be a writer. When a reader approached with fifteen of my books packed in a suitcase, profusely apologizing for “inconveniencing” me, I wanted to cry. How in the world did such a dream finally come true? When I was young, I prayed for one reader other than my Mom. Now, I have women thrusting piles of my books for me to sign, thanking me for my stories, and telling me how much they meant to them. I promptly told them they are the ones that are rock stars and I’d sign a hundred books with pleasure. I was able to build new relationships and network with authors I’d been dying to meet. I partied with readers until late in the night, driven to TGIF Fridays at 1am to feast on “hangover” food like nachos and cheese sticks. Signings and conferences are opportunities to step out of the office and be with real people. We need this as writers. Now, back at my desk, once again solitary, I smile at the pictures and tags on Facebook, and my pile of business cards, and filter through email and new friend messages that are now truly real. I’d love to tag everyone in this post who I was honored to meet, but there just wouldn’t be enough room to hold all the names. 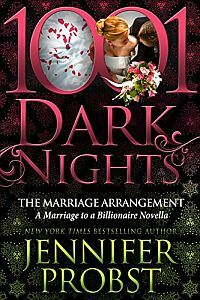 A big shout out to Jennifer L Armentrout for hosting, and 1001 Dark Nights for sponsoring the after party and other amazing things. This week, I’m thrilled to see my first nonfiction release, Write Naked, go out into the wild. Many have received their print copies already and I’m overwhelmed by the positive reviews and feedback. It’s an extremely personal book on my part, and a true passion project so I’ definitely nervous. I remind myself it’s no longer my book and doesn’t belong to me anymore, but writers are sensitive creatures underneath all that rhino skin so sometimes I need to breathe through the anxiety. I’ll be doing a LIVE Facebook video tomorrow, WEDNESDAY, 3/28 at 7:30pm EST. Tune in and I’ll do a reading, answer questions, and give away a signed book. Please make sure you come by and join me for some fun. For now, here’s a few teasers to tempt you to hit those buy links!